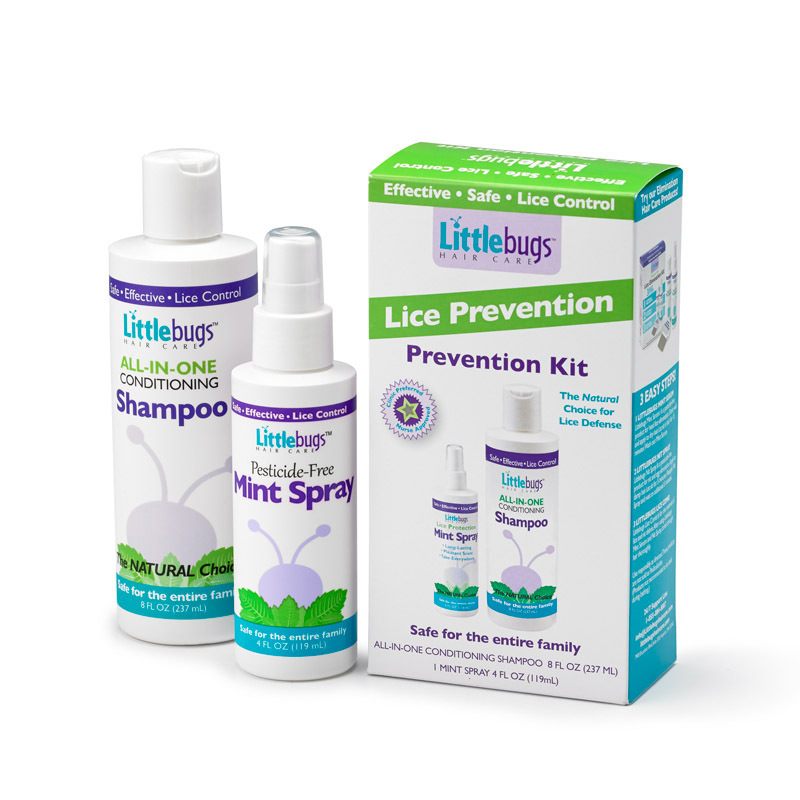 Littlebugs all-natural products prevent and treat lice without pesticides or other toxic, harsh chemicals. Ingredients like yeast-based enzymes, olive oil and peppermint naturally eliminate and prevent lice infestations. 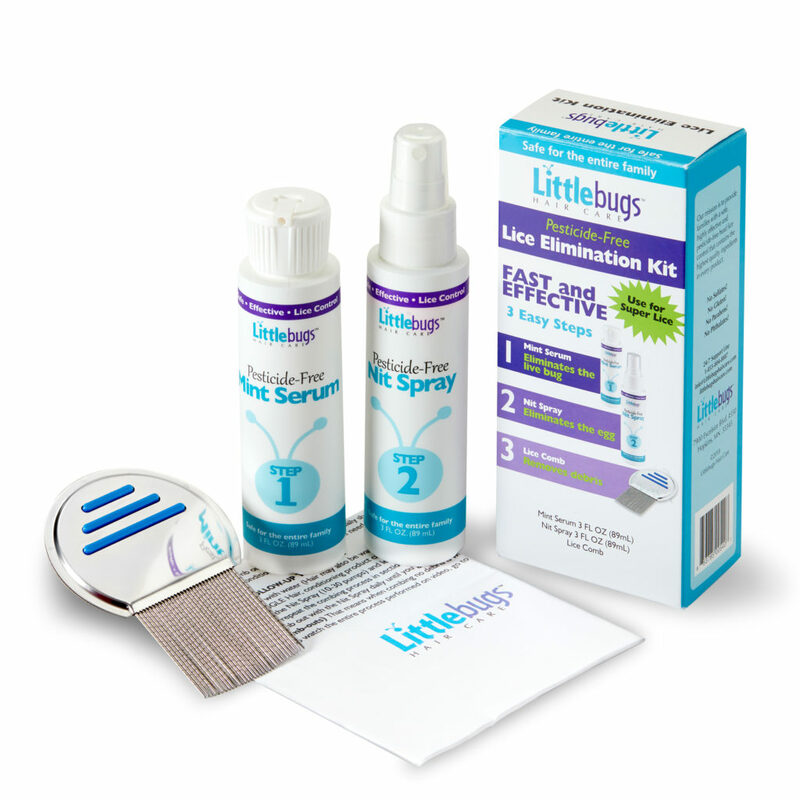 Developed with a chemist and a team of hair care professionals, Littlebugs products include both lice elimination and lice prevention solutions to keep your family free from lice. Find them near you with our store locator. Step 1 Littlebugs Mint Serum: is a pesticide-free product for head lice elimination. Shake well and apply to dry hair. Let sit in hair for 15 minutes. Do not wash out yet. Mint Serum. Step 2 Littlebugs Nit Spray: Is a pesticide-free product for nit and egg elimination. Apply to damp hair. Let sit for 5 minutes. Reapply Nit Spray and wait an additional 5 minutes. Step 3 Littlebugs Lice Comb: Is for the removal of lice and nit debris. After using Littlebugs Mint Serum and Nit Spray, comb through hair thoroughly. Here are our follow-up instructions. Littlebugs 8 oz ALL-IN-ONE Conditioning Shampoo is made with the highest quality ingredients. The result is a sulfate-free shampoo with conditioning properties that is great for daily use and for warding off head lice. Littlebugs ALL-IN-ONE Conditioning Shampoo is made with essential oils that lice find offensive. High quality ingredients allow Littlebugs ALL-IN-ONE Conditioning Shampoo to clean the hair without leaving it oily. It is perfect for children and adults who have a sensitive scalp. 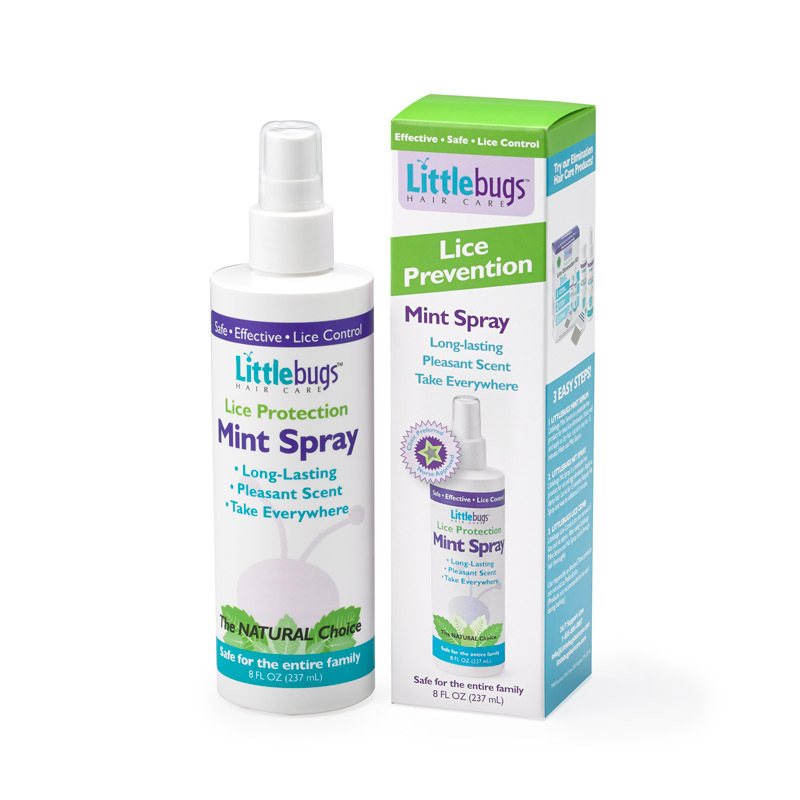 Littlebugs 4 oz Mint Spray is a specialized formula to help ward off head lice. Littlebugs Mint Spray may be used as often as necessary especially at times when the Littlebugs ALL-IN-ONE Conditioned Shampoo is not used. Littlebugs 8 oz Mint Spray is a specialized formula to help ward off head lice. Littlebugs Mint Spray may be used as often as necessary. 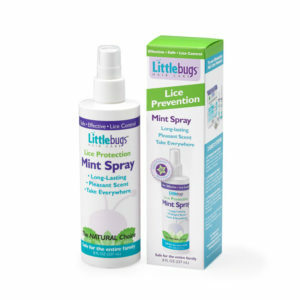 Littlebugs Mint Spray has been formulated with products that lice find offensive.